Jongman, A., & McMurray, B. (2017). On invariance: Acoustic input meets listener expectations. In A. Lahiri and S. Kotzor (eds. ), The Speech Processing Lexicon: Neurocognitive and behavioural approaches. Berlin: Mouton De Gruyter. Qin, Zh., & Jongman, A. (2015). L2 experience modulates learners’ use of cues in the perception of L3 tones. In Proceedings of the 18th International Congress of Phonetic Sciences. Reetz, H., & Jongman, A. (2009). Phonetics: Transcription, Production, Acoustics, and Perception, Wiley-Blackwell Publishers . 316. Sereno, J., Smits, R., & Jongman, A. (2001). Auditory category learning. In Proceedings of the Workshop on Speech Recognition as Pattern Classification (pp. 43-48). Jongman, A. (2001). Categorization of English fricatives. In Proceedings of the Workshop on Speech Recognition as Pattern Classification (pp. 19-23). Warner, N., Jongman, A., Cutler, A., & Muecke, D. (2001). The phonological status of schwa insertion in Dutch: An articulograph study. In Proceedings of the 4th International Speech Motor Conference. Wayland, R., & Jongman, A. (2001). Chanthaburi Khmer vowels: Phonetic and phonemic analyses. Mon-Khmer Studies, 31, 65-82. Jongman, A., Wang, Y., & Sereno, J. (2000). Acoustic and perceptual properties of English fricatives. In Proceedings of the 6th International Conference on Spoken Language Processing (Vol. I, pp. 536-539). Wang, Y., Sereno, J., Jongman, A., & Hirsch, J. (2000). Cortical reorganization associated with the acquisition of Mandarin tones by American learners: An fMRI study. In Proceedings of the International Conference on Spoken Language Processing (Vol. II, pp. 511-514). Jongman, A., & Moore, C. (2000). The role of language experience in speaker and rate normalization processes. In Proceedings of the 6th International Conference on Spoken Language Processing (Vol. I, pp. 62-65). Doeleman, T. L., Sereno, J. A., Jongman, A., & Sereno, S. C. (2000). Features and feedback. Behavioral and Brain Sciences, 23, 328-329. Sereno, J. A., Zwitserlood, P., & Jongman, A. (1999). Entries and operations: The great divide and the pitfalls of form frequency. Behavioral and Brain Sciences, 22, 1039. Jongman, A., Sereno, J., Wayland, R., & Wong, S. (1998). Acoustic properties of English fricatives. In Joint Proceedings of the 16th International Congress on Acoustics and the 135th Meeting of the Acoustical Society of America (pp. 2935-2936). Wang, Y., Jongman, A., & Sereno, J. (1998). Training American listeners to perceive Mandarin tones: A first report. In Joint Proceedings of the 16th International Congress on Acoustics and the 135th Meeting of the Acoustical Society of America (pp. 2979-2980). Jongman, A. (1998). Are locus equations sufficient or necessary for obstruent perception? Behavioral and Brain Sciences, 21, 271-272. Jongman, A. (1995). [Review of Acoustics of American English Speech, by J. P Olive, A. Greenwood, and J. Coleman]. Language and Speech, 38, 115-118. Jongman, A., & Sereno, J. A. (1995). Acoustic properties of non-sibilant fricatives. In Proceedings of the XIIIth International Congress of Phonetic Sciences (pp. 432-435). Jongman, A. (1994). The segment as smallest prosodic unit: A curious hypothesis. In P. Keating (Ed. ), Phonological structure and phonetic form: Papers in Laboratory Phonology III (pp. 99-107). Cambridge University Press. Jongman, A., & Sereno, J. A. (1991). On vowel quantity and post-vocalic consonant duration in Dutch. In Proceedings of the XIIth International Congress of Phonetic Science, Vol. 2 (pp. 294-297). Lahiri, A., Jongman, A., & Sereno, J. A. (1990). Dutch pronominal clitics: A theoretical and experimental approach. In A. Jongman & A. Lahiri (Eds. ), Yearbook of Morphology (Vol. 3, pp. 115-127). Dordrecht: Foris. Jongman, A. (1990). [Review of Linguistic structure in language processing, Greg N. Carlson and Michael K. Tanenhaus (Eds.)]. Linguistics, 28, 1076-1079. Jongman, A. & Lahiri, A. (Eds.). (1990). Yearbook of Morphology (A. Jongman & A. Lahiri, Eds., Vol. 3). Dordrecht: Foris. Jongman, A. (1990). Impersonal passive in Relational Grammar: Demotion or advancement? Linguistische Berichte, 129, 349-386. Lahiri, A., & Jongman, A. (1990). Intermediate level of analysis: features or segments? Journal of Phonetics, 18, 435-443. Lieberman, P., Katz, W., Jongman, A., Zimmerman, R., & Miller, M. (1985). Reply to Bruno H. Repp. Journal of the Acoustical Society of America, 78, 1116-1117. Prins, R. S., Bomhof, C., Hazenbosch, R., Jongman, A., & Lamar, L. (1982). STATAP: A therapy program for aphasics. Publication of the University of Amsterdam (in Dutch). Vogel, I., Harder, R., Jongman, A., Nagtegaal, D., Den Os, E., Van Reydt, A., & Slockers, V. (1981). The development of Dutch morphology. Publication of the University of Amsterdam (in Dutch). B.A., Slavic languages and literature, University of Amsterdam, The Netherlands, 1980. M.A., Linguistics, University of Amsterdam, The Netherlands, 1982. M.A., Linguistics, Brown University, 1985. Ph.D., Linguistics, Brown University, 1986 (dissertation: "Naturalness in Phonetics: A Study of Context-Dependency"). Acoustic phonetics: mapping between acoustic properties and linguistic features across languages. Speech perception and auditory word recognition. Phonetics of second language learning. Postdoctoral Research Scientist, Central Institute for the Deaf, September 1986-January 1989. Scientific Staff Member, Max Planck Institute for Psycholinguistics, February 1988- February 1991. Assistant Professor of Linguistics, Cornell University, July 1991-97. Associate Professor of Linguistics, Cornell University, July 1997-December 1999. Assistant Professor of Linguistics, The University of Kansas, August 1999- July 2001. Associate Professor of Linguistics, The University of Kansas, August 2001- 2005. Professor of Linguistics, The University of Kansas, August 2005-present. 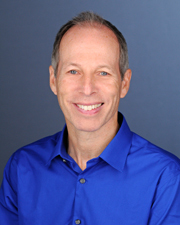 Chair, Linguistics, The University of Kansas, 2007-present. NSF grant, 2005-2009. (“Acoustic and perceptual correlates of emphasis in Arabic”). KU RDF Award (co-P.I. with T. Schreiber, A. Agah, F. Brown, J. Gauch, J. Sereno, and S. Speer), 2000. (“Kansas University Cognitive Robotics Group Proposal”). KU RDF Award (co-P.I. with M. Rice, R. Atchley, and J. Sereno), 2000. (“Evaluation of the perceptual and neurological processing abilities of children with grammatical limitations”). NIH FIRST Award, 1995-2001. ("Acoustic and perceptual properties of English fricatives"). NSF ILI grant (co-P.I. with B. Lust and J. Lantolf), 1995-97. ("Interdisciplinary approaches to the scientific study of language knowledge and acquisition: Cornell University Cognitive Studies"). Society for the Humanities Research Grant, 1993. Speech processing apparatus and methods for processing burst-friction sounds. U.S. Patent #4,809,332, February, 1989 (with J.D. Miller). Reetz, H., and Jongman, A. (2009). 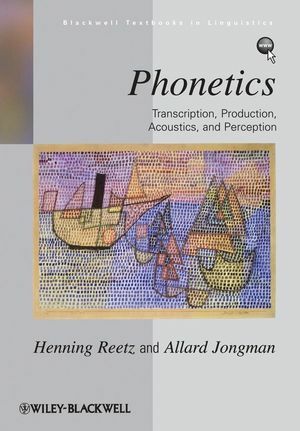 Phonetics: Transcription, Production, Acoustics and Perception. Wiley-Blackwell. Providing a comprehensive overview of the four primary areas of phonetics, Phonetics: Transcription, Production, Acoustics, and Perception is an ideal guide to the complete study of speech and sound.